I had the opportunity to try a free sample of one of these Nonuttin’ granola bars, and immediately went back to buy a box of them in each of the chocolate chip and the chocolate chunk flavors. I couldn’t resist. Despite their description as granola bars, there is little to remind me of a granola bar here. Of course there are no nuts. Nor are they crunchy and stiff like most granola bars. They are very reminiscent of the crispy rice bars you loved as a kid, but less tacky and chewy. The chocolate chip is the less chocolaty of the two, with just small (dairy-free) chocolate chips. The double chocolate chunk is my pick for chocolate lovers, with large chunks of chocolate and chocolate in every bite. Gluten-free oats, and rice products are the primary ingredients. They are wheat-free, milk-free, egg-free, and gluten-free. They do contain soy lecithin (a non-protein product of soy). The packaging lists soy as a possible allergen due to possible cross-contamination with their product lines containing soybeans. They are just the right size to throw in a lunch box or handbag for a mid-afternoon snack. Have you tried them yet? What do you think? About the snack series: Snacks without wheat, eggs, soy, nuts, and milk can be really difficult to find. That’s why I am always on the lookout for easy on-the-go snacks that can be thrown in a lunch box, backpack, or handbag. This is one of a series of posts on allergen-free snacks. 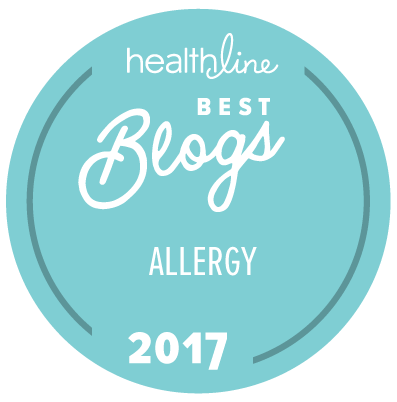 If you have a suggestion for an allergen-free snack that I should try, please e-mail me at multifoodallergies at gmail dot com or leave a comment here. I'm so glad you enjoyed our bars; you sound like a fellow chocoholic! I wanted to let your readers know that these 2 bars are not corn free. The anhydrous dextrose listed in the ingredients of the chocolate chips and chunks is corn based. We are currently working on removing the corn from the chocolate chips (not chunks) for only the US packaging in 8-10 weeks with Canadian packaging to follow at a later date. At the same time, changes to the crisp rice ingredient will allow us to now be sesame free. Alana, thanks for visiting! And thanks for pointing out that the bars do have corn ingredients. 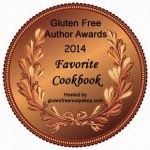 I know some of my readers will appreciate that you are working a corn-free sesame-free version!